One of the most opaque industries around is publishing, not here online, but good old-fashioned print-books and their digital and audio spin-offs. Poke around and try to find some hard sales numbers and you’ll quickly find that it’s near impossible to do so. You can find bestseller lists from reputable sources like the NYTimes, Amazon and others but tying those rankings to an actual number of books sold at retail is simply not doable. Publishing costs, deals, and profit lines are even harder to shake loose. 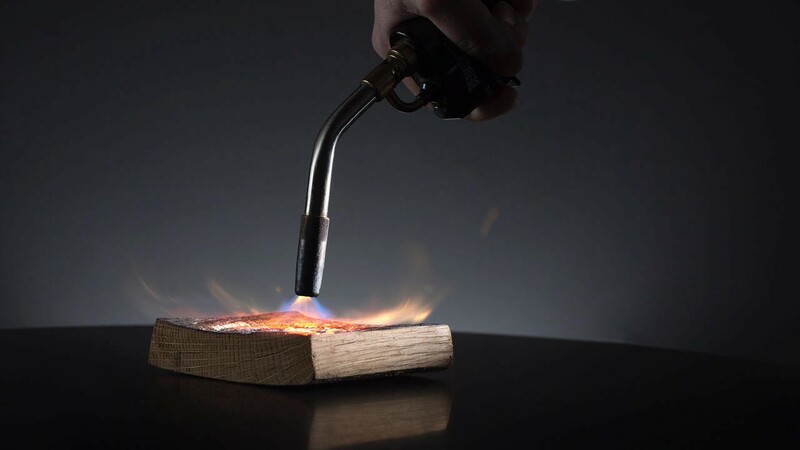 About a decade ago, in 2007, book agents and publishers began approaching chef Achatz and me to gauge our interest in creating an Alinea cookbook. Ever since that process started I have wanted to write this post. Having never published a book before I was fairly mind-blown by the terms of the offering and my inability to properly and easily research the process, costs and revenue potential of a cookbook. In the intervening decade I’ve ranted privately to dozens of chefs, restaurant owners, writers of fiction and non-fiction alike, and even a few screenwriters that they should avoid traditional publishing deals if at all possible. I’ve pushed the case in private, but have always been afraid to fully burn my bridges. Deliverables: 100 recipes and supporting text by 8/31/07; 150 color photographs delivered as high-resolution digital files with match prints by 8/31/07; recipes must be fully tested and photographs are subject to [redacted’s] approval. Buyback: Author will purchase 5,000 copies for resale within 12 months of publication subject to the following terms: non-returnable; orders of a minimum of 500 copies; in carton quantities only; subject to [redacted’s] inventory requirements; at a discount of 50% off the retail price; royalties payable; delivered to a single US destination; to be sold through the author’s own restaurants, businesses, and website only. For a first book this is considered a great offer. It’s super rare for any chef or restaurant to receive a solid book deal, let alone a restaurant that was less than 2 years old. $125,000 and the guarantee of editing support, printing supervision, and distribution would have ensured that the book would reach a wide audience and be of relatively high quality. But then I started doing the math. And negotiating. The offer was soon doubled to $250,000 (perhaps too quickly). But it still didn’t add up to me. At a $60 cover price we would net $4.80 per book sold of the first 15,000 units and have recouped only a $72,000 credit of the advance. On the next 15,000 copies, $90,000. For every book sold after 30,000 — and let’s be clear *very* few cookbooks sell more than 30,000 copies — we would recoup at a rate of $7.20 per book and need to sell another 12,222 books before we saw another dime. The advance is just that — an advance against royalties — and just like a record deal the publisher keeps all of the revenue until the advance is fully recouped, if ever. 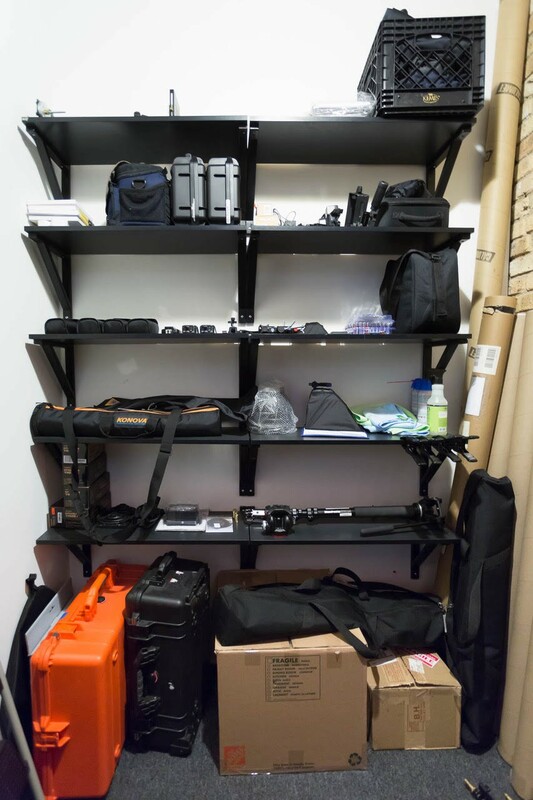 Out of that $250,000 we would be required to spend the money on all photography, graphic design, pre-press, editing, recipe testing, writing and proofs. With a team of 4–6 professionals contracted for the book this would typically use 70% to 85% of the advance. It could easily end up being more than that for us as we intended to shoot every recipe, its steps and the final dish… something that the vast majority of cookbooks do not do for several reasons. The photography, color correction, layout and proofs are exacting and time consuming. As important, pages that are full-bleed, 6-color printed drive up the printing costs. That is why most cookbooks — even the best — do not include photographs of every recipe. The pages that are only text, be they recipes or essays, are far cheaper to print and work to save money on the overall production costs. If you unbind a typical cookbook (we dissected a dozen or so with an X-acto knife), you’ll find that pages 20 / 200 (for example) are printed on the same sheet… and don’t include pictures. Multiply that by 40% or more of the book and you’ve saved a great deal of money. Next time you pick up a cookbook try to estimate how many pages are all or mostly words, then page through the book. You’ll be surprised. And now you’ll know why there isn’t a picture of every recipe and dish, even though the ones with pictures tend to be the only recipes readers actually cook. There is, baked into the structure of the publishing agreement, a mutual incentive to reduce costs. For the authors it is to cut corners on photography and design production to retain more of the advance money. This helps the publisher to keep the printing cost as low as possible. But what were those costs exactly? I still had no idea what it actually cost to print a major cookbook. That was as hard to figure out as sales numbers. So our team started calling printers in China and Korea, print brokers in the US, and any publishing contact I could find to ask a very specific question: “How much does it cost to print 30,000 copies of a [Very Famous and Successful] Cookbook, do you think?” I was met with responses that were akin to me asking for state secrets that were highly classified. No one would talk. Until one-day I got lucky. Just by chance I spoke to the print broker who actually worked on the exact bid for that famous book. And he told me precisely: that super amazing cookbook that I truly loved, which at the time retailed for $50 and had won every award imaginable, cost $3.83 per book to print, shrink wrap, and ship to the US. I thought he must be mistaken and I said so. “No way.” He replied, “well that was the first edition, I’m sure the cost has gone down since then.” He thought I was implying that $3.83 per book was too high! Since I expected that we would be selling books through the restaurant I wouldn’t mind having an inventory and so I didn’t pay close attention to that section of the offer. But doing the math I realized that the publisher was essentially guaranteeing that they would recoup the entirety of the original advance offer! At $30 wholesale to us and a cost of $3.83 to them, a sale of 5,000 copies to us, the authors, would net them a $130,850 profit. It was at this point that I got actually angry. The publisher was taking no risk at all. I decided that minute that we would take a very different course of action. Over the the next few weeks Martin Kastner, our designer for the Alinea book who had never created a book before, and his wife Lara, a visual artist who had never photographed for a book before, began working on a detailed book proposal with Grant and me. The goal was to photograph, design, and print about 8 recipes in what looked like a final form, leaving less to the imagination of the publisher and giving them a sense of our design ambitions. We made unusual decisions that we felt would make the book better and uniquely comprehensive: every dish would be photographed along with many of the steps and techniques, ingredients would be weighed as they were in the restaurant instead of using measures like cups or tablespoons, we’d use the metric system for accuracy, a recipe tester (who would make the recipes easier for home use) would not be employed, the photography would be done in the restaurant over the course of 6 months to a year. Martin even hand crafted a custom stainless steel pin binding system to present the pages. We then sent them to 6 publishers, five in the US and one in Europe. She concluded that we would likely want to go elsewhere to publish if we did not wish to compromise. And if we did publish as presented, she predicted on a phone call that we would never sell even 5,000 books. “It’s not readable, enjoyable, and no one in this country uses grams.” I yelled some choice words at a wall after I hung up the phone on that call. Her main sales tactic, it seemed, was fear and intimidation. She pressed me that there was no way we could do this on our own and I was doing a disservice to chef Achatz for telling him we could. If I needed more motivation, that was it. No advance at all. Not a dime. We would be on the hook for all production costs and because of that could do pretty much whatever we wanted. 10 Speed would help us do the copy editing, we’d get the benefit of their relationships and sizable orders with printers, and of course they’d warehouse and distribute the book in North America. Full production and distribution transparency to us. We’d even get the list of every single independent bookseller that carried the book. This was intriguing. no advance but the publisher would front the printing costs. roundly 74% of wholesale proceeds go to Alinea after printing costs are recouped in profit per unit terms. $25 wholesale price ($50 retail first edition) minus print cost = profit per unit. Alinea pays the actual print / shipping costs for all books we sell directly at retail, not a wholesale price. No guaranteed minimum number of books to be purchased by us. It took us nearly a year to make the book, all the while learning a lot and making a ton of mistakes, and doing so while Grant went through an arduous series of chemotherapy and radiation treatments for Stage IVb cancer. The entire process proved incredibly stressful, but we worked with amazing food writers who were my inspiration to get into the restaurant business just a few years earlier — Jeffrey Steingarten and Michael Ruhlman among them. Not a great picture, but every box you see is full of Alinea books. It took a huge team just to unwrap them! On Day Two of Signing no one was happy with me, including Martin. Despite the difficulties we had successfully created the book we wanted. It was truly unique, over 3 times the production and printing cost of a typical cookbook at that price point, with a small font, black pages, and metric measures. Martin even went to China for 3 weeks to oversee the printing, ensuring the proper color saturation, printing throughput and standards — and driving the print broker and the factory completely nuts with his attention to detail. All told, the cost per unit was around $10.80 laden for the first edition run of 30,000 books. The end results proved that customers could tell the difference. Alinea is in its 6th printing edition with over 100,000 copies sold. It won a James Beard Award for Best Cookbook from a Professional Point of View. And it was featured in the Communications Arts 50th Anniversary Annual for its innovative design, a true honor for any graphic designer let alone for Martin and Lara working on their first book ever. And I’d be happy to work under those terms again. But then 10 Speed Press, a great independent publisher that could adroitly make an unusual deal for a cool book, got sold to Crown Publishing in 2009. And in the meantime Amazon ate the world of independent booksellers. I really doubt any publisher will make a deal like that again anytime soon. And I really doubt any well known restaurant, chef, or writer needs to do so. There is an even better way now. Amazon sells ~68% of all books sold online and ~40% of all books sold, period. Couple that with a book website tied to the social media reach of a popular restaurant or chef, Google Ads, and Facebook Advertising and any cookbook can reach a substantial worldwide audience. Simply put, reaching an audience directly for a book, without a publisher, has never been easier. But making a great book remains difficult and takes a lot of time and money. Here’s how we are planning to make the Aviary book. In order to make a great book you need talented artists and writers — great content. Typically that would mean hiring an artistic photographer, a writer, a recipe editor, and a graphic designer on contract. Because we controlled the details of the Alinea book so tightly, I wanted to make sure we could be even more ambitious for any new books we will make in the future. I wanted to create our own mini-production-house for all media for our restaurant group. The process of putting the team together took a little over 3 years. We were super fortunate that a truly crazy-mad-genius-autodidact, Allen Hemberger, spent nearly 5 years documenting his experience of cooking his way through the Alinea book. You can watch this documentary about his obsession. We kept in touch with Allen over the years as his progress culminated in the creation of his own book, The Alinea Project, which he successfully Kickstarted and printed. And when I got a copy in the mail, well I was fairly mind blown. It was, in many ways, even better than the Alinea book itself. While I had known that Allen was a talented animator and programmer for Weta Studios in New Zealand and then at Pixar working on Finding Dory, I had no idea that his wife Sarah was a talented graphic designer working at Industrial Light and Magic. She was responsible for laying out the entirety of the Alinea Project book, along with all of the graphic design, solo. As soon as I paged through the Alinea Project, literally that second, I knew someday we’d work with Allen and Sarah to make our books. I just had no idea *how* we would make that happen. It is an understatement to say that it is hard to compete with Pixar in terms of quality of life, compensation, benefits, and, well, pretty much everything else. I had, really, only one thing to offer: an independent adventure. The core value of The Alinea Group is that we *attempt* to innovate on whatever projects we tackle. Of course, we don’t always succeed. But the pitch to Allen and Sarah was that we would invest in the production process for a series of books, that we could leverage our marketing and social media to give us a reasonable chance for success, and that they would transparently share in that success both financially and by receiving proper credit for their work. But more than anything, it’s that we really weren’t exactly sure how to best produce the book and that they would figure that out with us. That’s the adventure. And then, just as we were about to get started and they were about to move here I got a phone call. I could tell they were hesitant to talk to me and tell me some news and I figured they got cold feet. Instead, they let me know that they were expecting their first child. We put the project on hold for over a year. Miramar, their beautiful daughter, was 8 months old when they finally arrived in Chicago. Yes, they left the beautiful Bay Area of Northern California and two amazing companies with a small child in tow to come make a few cookbooks. Misc boom arms, light stands, umbrella mounts, etc. Nothing fancy, but super convenient right above the Aviary. We’ve documented about 160 drink recipes over the past several years anticipating the need to have everything organized. Nonetheless, we are not certain about the final content of the book. Nor can we really be certain what the demand truly looks like for a $60 coffee-table worthy cocktail tome. I’ve been told personally by several publishers that there is no such market (not quite as bad as the ‘appendix’ assessment for the Alinea proposal, but not far off). Publishers mitigate their risks by ensuring sales to several channels early on — the author (as we saw above), book clubs, independent bookseller aggregators, etc — and cutting deals up front. And, of course, by making sure the book is as cheaply produced as possible. We do not have those same options available to us and our goals for the final product are very different. So we took to Kickstarter to crowdsource some of the initial funds we need to put the project together. We had a lot of success with Martin for his Porthole, raising $736,000 in just 4 weeks. That was way ahead of what we had imagined. “Gadgets” and tech do really well on Kickstarter, but campaigns for books have been far more modest. On the Kickstarter video for The Aviary Book you can see mock ups of the size / shape of a potential final form factor. 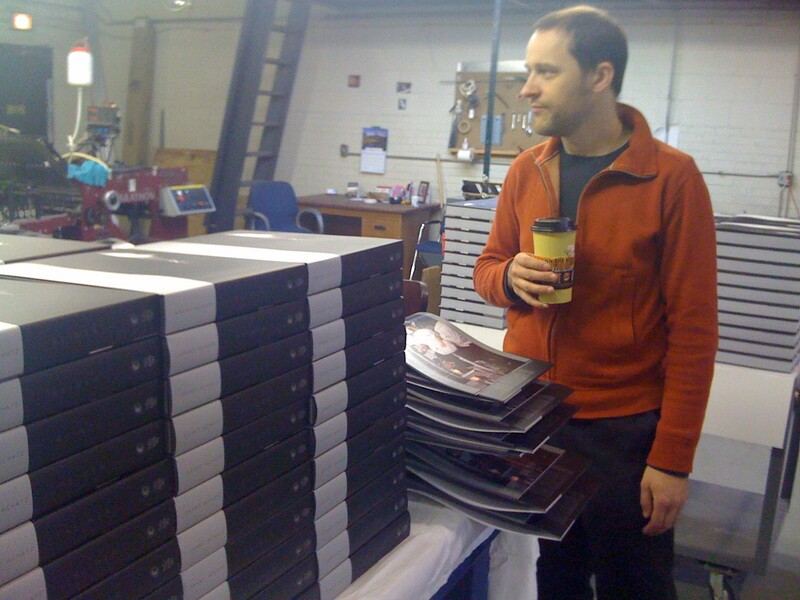 The reason we did this was to get printing estimates and lead times in various quantity runs. Making a number of assumptions on content and length and having the numbers from Alinea and The Alinea Project both helped. But we’re trying to do even more with this book. Initial estimates for a print run of 15,000 and 30,000 are about $13.80 to $15.20 per unit for the basic book without any ‘extras’. This time we do not have the advantage piggy backing on a big publisher’s orders, so we don’t get the giant volume discounts. An initial print run, after all production expenses, will cost about $450,000. I expect our total out of pocket for all production and printing of the first edition to be $750,000 to $830,000 over the course of about 14 months. Of course, we could do a much smaller run of 10,000 books if we think demand will be lower and that will drive the per unit costs up around 15%. 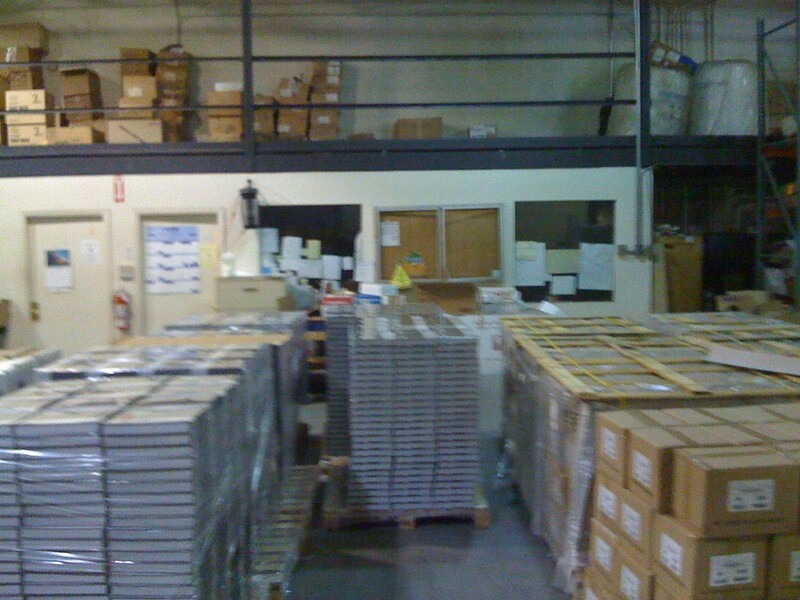 Finally, we need to warehouse and ship thousands of books. For that we reached out to Max Temkin’s (of Cards Against Humanity fame) new shipping company www.blackbox.cool to get everything in place so that we can inventory the books properly, then charge appropriately for shipping and handling as we pre-sell the books. That makes life so much easier on the logistics side this time around. Once the Kickstarter is over we’ll migrate sales and inquiries to www.theaviarybook.com and all fulfillment will push directly to Blackbox, with the exception of the slipcovered edition which we will sign and handle personally at our offices. We’ll also of course utilize Amazon for sales and distribution through a traditional and massive channel. Eventually, we may reach out to independent booksellers that we have a relationship with to carry the book. It’s a big project to be sure, but no bigger than it would be for any restaurant to produce a book of this type. And we get to control the voice, content, and quality of the final product completely. If it’s successful, we’ll also all share in the rewards together. We’re also going to document the process, costs, unexpected hiccups, massive screw ups, and failed material along the way to the final goal. 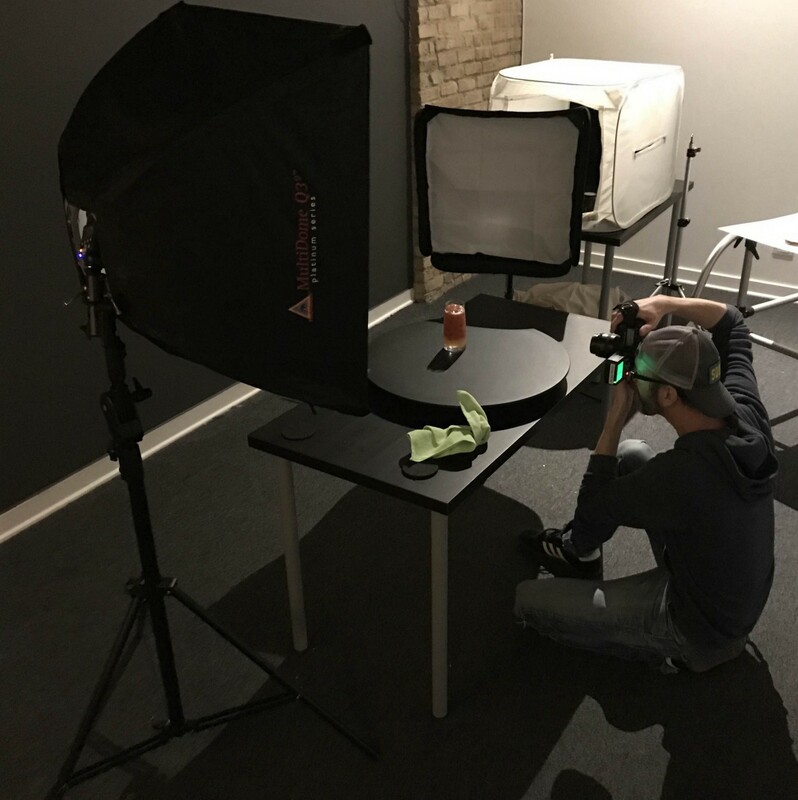 We’re hoping that this helps other cookbook authors, restaurants, and even independent authors to understand a bit of the process. Even if they decide to stay with a traditional book deal they’ll be armed with more information. And we’ll be happy to answer any questions along the way, from photography techniques and post production to printing bids and shipping dates. We want to open-source our process so that the digital tools available for book production are not gummed up by the system known as publishing. We’ll need to sell about 17,400 books to break even. So there is a risk. 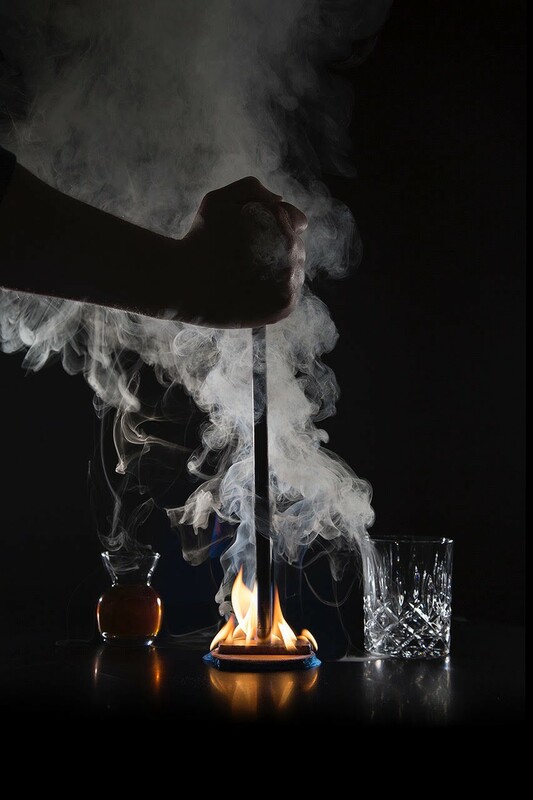 But we’re excited to create a unique book, part art / part science / part delicious, that will inspire cocktail lovers around the world. Keep an eye on our progress at www.theaviarybook.com and send us any questions or comments you may have. We look forward to hearing from you and raising a glass.